NetApp customers can now purchase Veeam and NetApp solutions directly from NetApp and its resellers. Peter McKay - President and Co-CEO, Veeam. Storage and data services vendor NetApp is adding Veeam Availability Solutions to its global price list, allowing NetApp customers to purchase Veeam and NetApp solutions directly from NetApp and its resellers. The agreement will equip 4000 NetApp resellers globally to deliver NetApp/Veeam integrated availability solutions. Customers receive two benefits from purchasing under the agreement, Veeam said. First, a one stop shop allows them to purchase a complete NetApp and Veeam solution via a single NetApp purchase order; second, they receive a validated solution. Users will be able to leverage NetApp Snapshots in tandem with Veeam’s availability and recovery capabilities to minimize data loss and downtime while implementing their data backup, recovery and disaster recovery strategies. This can maximize application uptime and deliver faster item and VM-level recoveries and increased IT efficiencies, Veeam said. Steven Hill, senior analyst of storage technologies for 451 Research, said with the growing number of storage options available for customers, it can be a challenge to adopt a unified approach for data protection. "Industry partnerships such as the one between Veeam and NetApp show that tight integration between vendors is attainable without limiting customer choices or compromising on features and capabilities," he said. 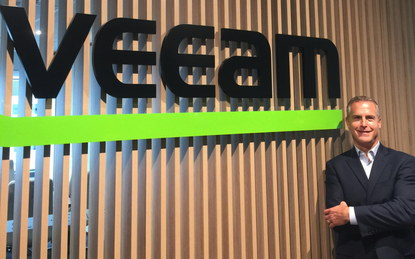 Peter McKay, co-CEO and president of Veeam, said he was excited to expand Veeam's NetApp alliance from product integration to a full reselling agreement, including NetApp Data Fabric solutions. “We are committed to our partner ecosystem and adding Veeam to the NetApp price list simplifies the process for our partners to deliver highly differentiated solutions that accelerate business transformation and drive the highest levels of performance, efficiency and 24 by 7 by 365 availability across multi-cloud environments." Henri Richard, EVP worldwide field and customer operations at NetApp, said Veeam’s deep integration with ONTAP drives high levels of availability and IT simplicity across NetApp's portfolio of hybrid cloud data services.